A campground and several roads were closed after fire took off on the Utah side of Dinosaur National Monument Thursday afternoon. According to Monument Chief of Visitor Services Dan Johnson, the fire was called in about 4:30pm and is being called the Green Fire. Battling the blaze is an interagency effort with National Park Service, BLM, the Jensen Fire Department, and a helicopter from Rifle providing support from the air. The Green River Campground and Cub Creek Road were closed as well as the Monument’s main road at the turn off for the Split Mountain Campground but it is anticipated that these will be reopened sometime on Friday. 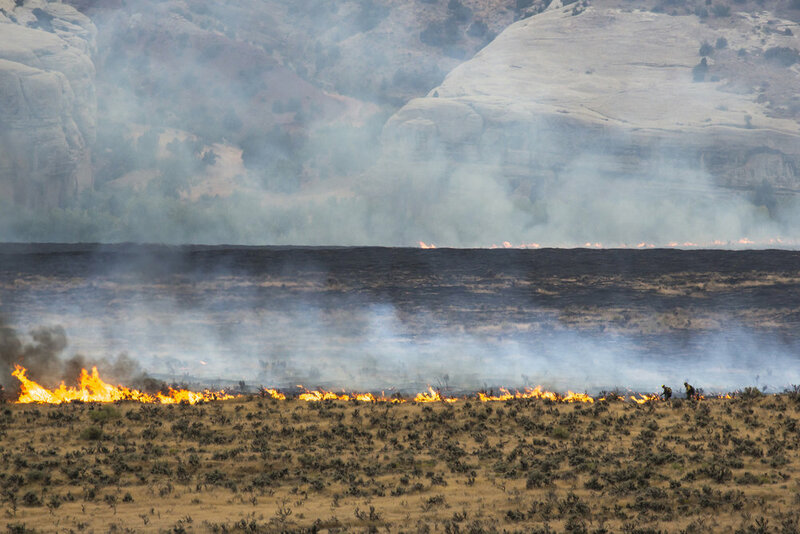 The Green Fire is about 40 acres and spread quickly through grass and sagebrush. The cause of the fire is under investigation. The Quarry Visitor Center and Exhibit Hall remain open to the public.